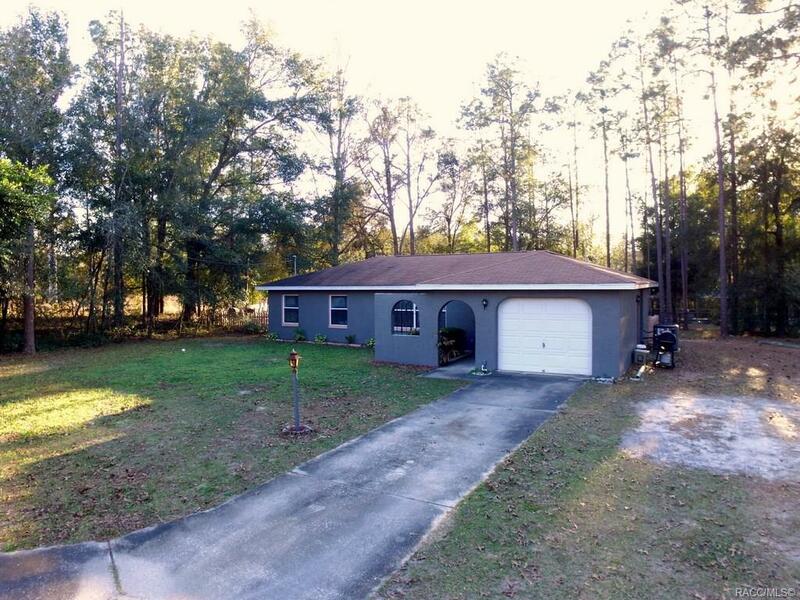 Nice 2/2/1 home in Citrus Springs. Great location on a nice lot. This home features updated HVAC system to 17 Seer unit in 2015, updated water heater, updated dishwasher, new carpet in July 2018, partial fenced yard, 12 x 16 storage shed put in 2015, updated interior paint and more. Take a look at this affordable home today. Directions: Going North On Elkam Blvd To Right On Rutland Dr To Right On Conrad Point.